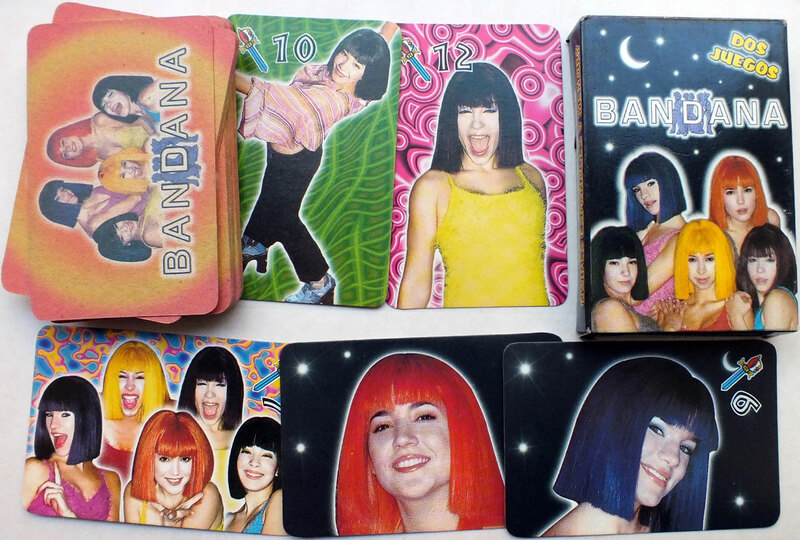 Above: Bandana Spanish-suited Argentine pop girl group playing cards 2002. 40 cards in box. Photos of pop singers posing on each card. Reverse: repeating 'Bandana' text printed diagonally. The second deck is more colourful. 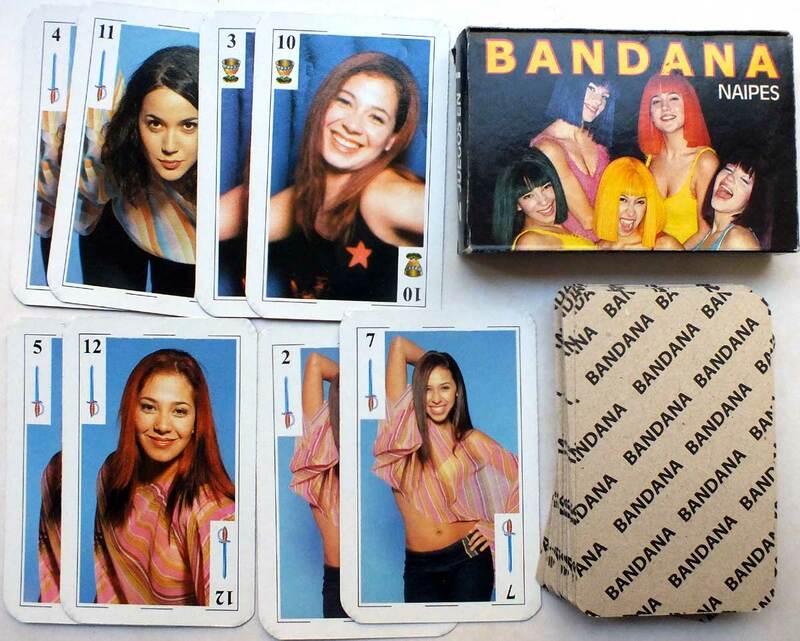 Above: Bandana Argentine pop girl group playing cards 2002. 40 cards in box. 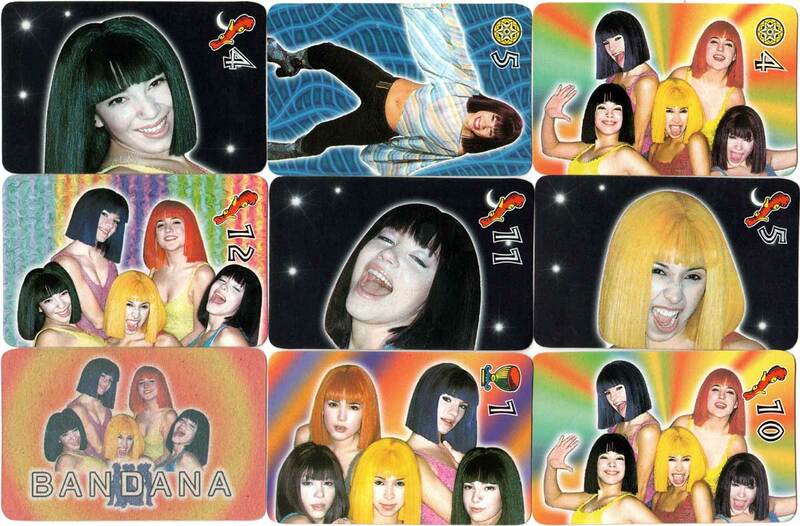 Photos of pop singers posing on each card. Reverse: group photo and text 'Bandana'.